All Ranchita homes currently listed for sale in Ranchita as of 04/25/2019 are shown below. You can change the search criteria at any time by pressing the 'Change Search' button below. If you have any questions or you would like more information about any Ranchita homes for sale or other Ranchita real estate, please contact us and one of our knowledgeable Ranchita REALTORS® would be pleased to assist you. "Wonderful custom home / horse ranch with oversized 3 car attached garage (820 sf) and 20x40 detached garage on 18.5 gentle sloping acres with fantastic views. This beautiful ranch style home features 3 nice sized bedrooms and 3 bathrooms. The cook s kitchen has ample oak cabinets, granite counter tops, stainless steel appliances including a wine refrigerator, wall oven, glass propane cook top, walk-in pantry and breakfast bar at the large island with prep sink. Fresh paint. See supplement for much more. Neighborhoods: RANCHITA Equipment: Fire Sprinklers,Garage Door Opener Other Fees: 0 Sewer: Septic Installed Topography: LL,GSL"
"Beautiful Custom Built Home on almost 40 acres. Views of the Vulcan Snow Capped Mountains. Electric gated entry and long winding drive leads you to a welcoming front porch. This home was built with love and done right. Huge great room/family with large open kitchen. Western and country flair gives this interior lots of character. Enclosed green house safe from wild life. Shed and Sea Container. Well, Storage Tank and Well House. Close to Ramona or just up the hill from Borrego Springs CA. 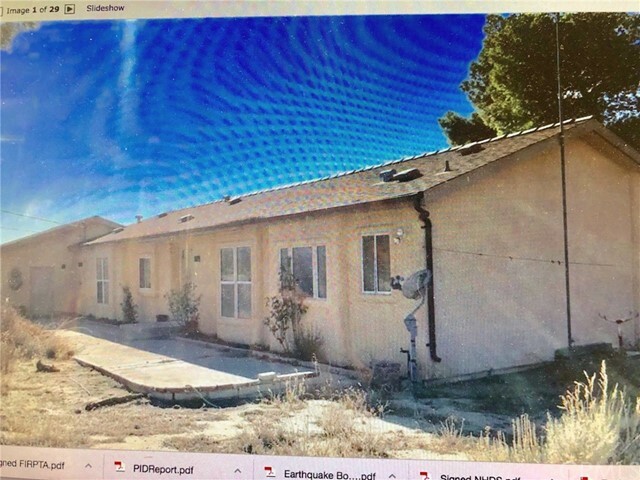 Neighborhoods: Ranchita Complex Features: ,,, Equipment: Garage Door Opener, Shed(s) Other Fees: 0 Sewer: Septic Installed Topography: LL,RSLP,GSL"
"Reduced! Manufacture home (2001) on permanent foundation on 5.76 acres with great views. Previous owner was horse person with many of the horse facilities still intact. Ranchita has 4 seasons with snow in the winter. Excellent wood stove with child safety fence. Cal Fire station on the same block. A stick built outbuilding that can be converted to different hobbies and storage. Bedrooms on opposite side of house each with full bathrooms and walk-in closets. Half bath great for visitors. Sea Containers too Neighborhoods: North Side Other Fees: 20 Sewer: Septic Installed Topography: LL,RSLP,GSL"